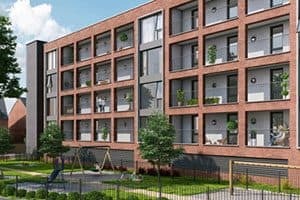 This housing development for London and Quadrant Group on a 4.5 hectare site in London Borough of Enfield comprises 231 new dwellings, of which 69 are terraced and semi-detached houses and the remainder are 1, 2 and 3 bed flats in 4 storey high apartment buildings. The development, known as Bolingbroke Park, has been designed to take advantage of the established woodland setting of the site, which includes a large number of mature trees and two established ponds. Respect for the existing ecology and sloping topography of the site was paramount and has been used to create a development of well integrated dwellings which maximizes sunlight and daylight to all dwellings. As a domestic build Bolingbroke Park required compliance with Part L1A of Part L of the Building Regulations. Air Tightness Solutions were responsible for undertaking Air Tightness Compliance Testing across the entire development. Farringdon Park was built by Britannia Construction, for Aviva Investors and is the first location in the UK to accommodate a Waitrose and Aldi next to each other as part of a new purpose built development, creating over 125 full and part time jobs. Compliance with Part L2A of Part L of the 2010 Building Regulations was achieved with Air Tightness Solutions undertaking the air pressure testing. 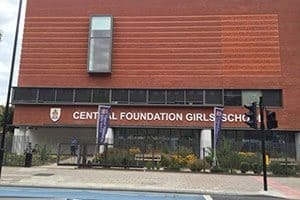 Teaching facilities including dedicated Sixth form ICT suites, a library and dining areas were tested in accordance with Part L1A of Part L and Part E of the Building Regulations. 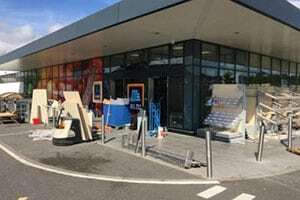 Air Tightness Solutions were responsible for undertaking Air Tightness & Acoustic Sound Insulation Compliance Testing for Building Bulletin BB93 as well as assisting Bouygues UK in achieving BREEAM Pol 8 Hea 13 credits. The St. James development is transforming the retail and leisure offer in the heart of Dover and South Kent. The development comprises of 156,915 SqFt of new retail and leisure space. 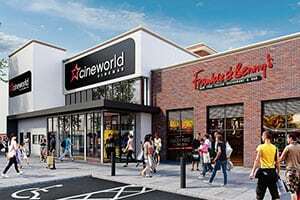 As a commercial build, Air Tightness Solutions undertook air testing in accordance with ATTMA TSL2 Issue 1 for Cineworld Cinemas to comply with Part L2A of Part L of the 2010 Building Regulations. A large regeneration project centred on the demolition of a four storey 1980s office complex saw way to the erection of a 10 storey Premier Inn hotel. 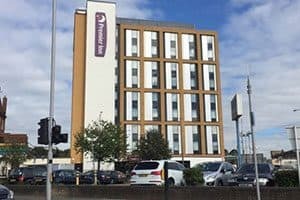 As a commercial build Air Tightness Solutions undertook air testing in accordance with ATTMA TSL2 Issue 1 for Premier Inn Tottenham Hale to comply with Part L2A of Part L of the 2010 Building Regulations. is a multi-phase regeneration of a seven-acre site in Tower Hamlets close to East India DLR station. 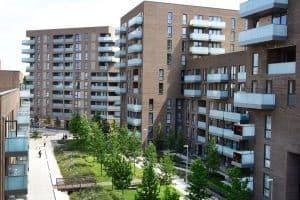 Willmott Dixon are creating a tenure-blind new community who can either buy or rent and enjoy living in an up and coming area with fast access to Canary Wharf and central London. As a domestic build Aberfeldy Phase 2 required compliance with Part L1A of Part L and Part E of the Building Regulations. Air Tightness Solutions were responsible for undertaking Air Tightness & Acoustic Sound Insulation Compliance Testing across the entire phase.